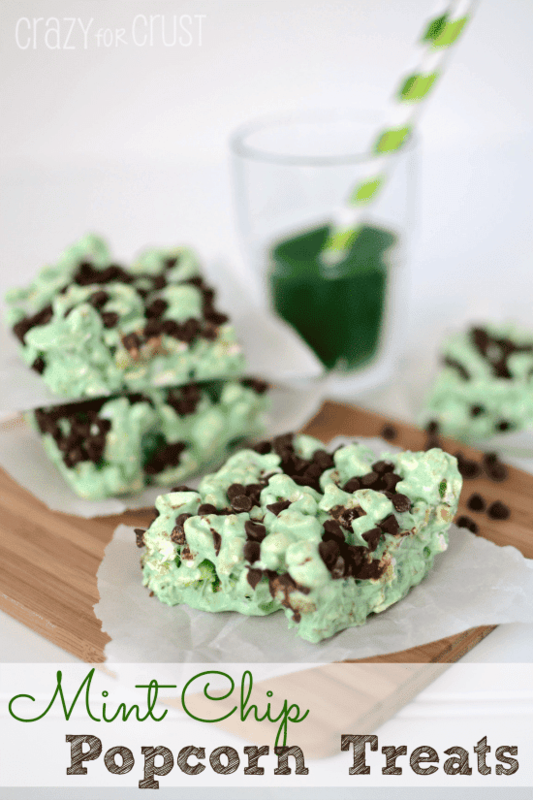 These EASY Mint Chip Popcorn Treats are like a Rice Krispie Treat, but it’s made with popcorn! Add some MINT flavoring and chocolate chips and you have a yummy mint chip dessert recipe! Last week, on Instagram, I posted a picture of a recipe fail. The picture was of a bunch of green popcorn in the trashcan. That was a sad, sad moment. I really, really hate recipe fails. It kind of feels like when you were a kid and dropped your ice cream cone three licks in. Except now, as an adult, my mommy isn’t here to buy me more ice cream. Luckily for you, that recipe fail turned into these bars of wonderful. I had originally been trying to make a popcorn concoction with white chocolate, marshmallows, and Duncan Hines Mint Chocolate Frosting Creations. White chocolate and me, we are not BFFs. Let me put it this way: when I buy white chocolate melts I buy extra. Because I know, without fail, I will ruin the first batch. I’m also very, very happy I had bought two of those Mint Chocolate Frosting Creations, just in case. Because I had two in my cabinet, I was still able to bring you these Mint Chocolate Popcorn Treats. 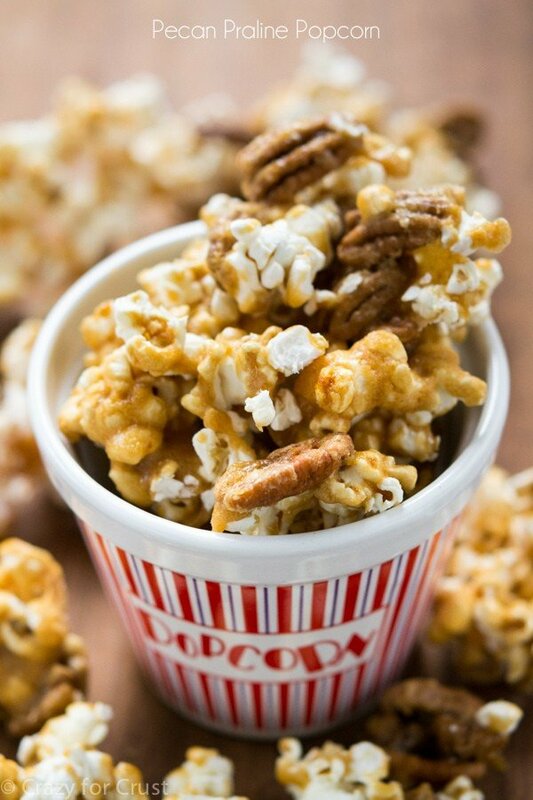 They’re like krispie treats…except with popcorn. I made something similar to these way back when I started blogging. I’m not even going to link to it, but if you go on a hunt please don’t judge the pics I thought were amazing, mmkay? These are made just like a krispie treat – melted marshmallows and butter. I use lots of marshmallows because I like my treats goooooey. Like, Marshmallow Treats with Popcorn gooey. So…be forewarned. 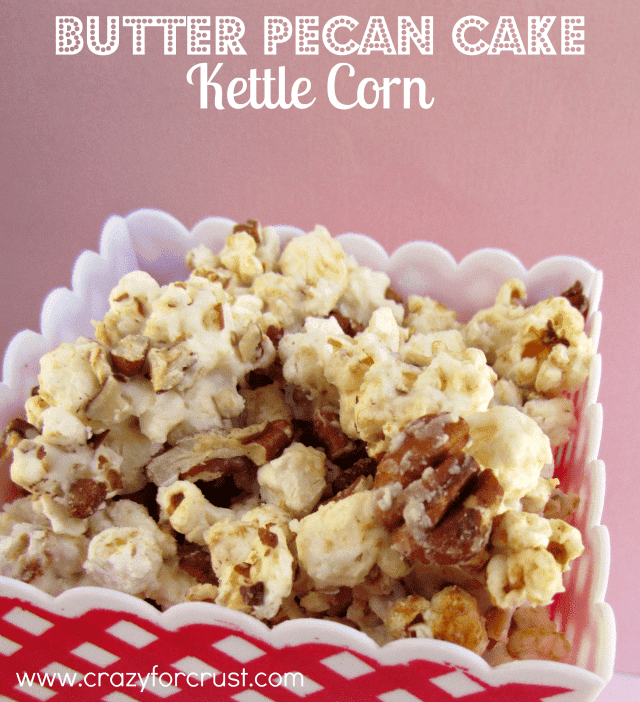 If you like your treats less sticky, you can feel free to add less marshmallows, or add more popcorn. The Frosting Creations packet is added after all the melting happens. I used the Mint Chocolate because, well, St. Patrick’s Day is next week. And somehow March 17 is the green mint holiday. Plus, I love me some mint chocolate anything. And the flavor is perfect – it tastes just mint chocolate ice cream! These are the kind of recipe fails I’m happy with. Ones that end up in treats like these! 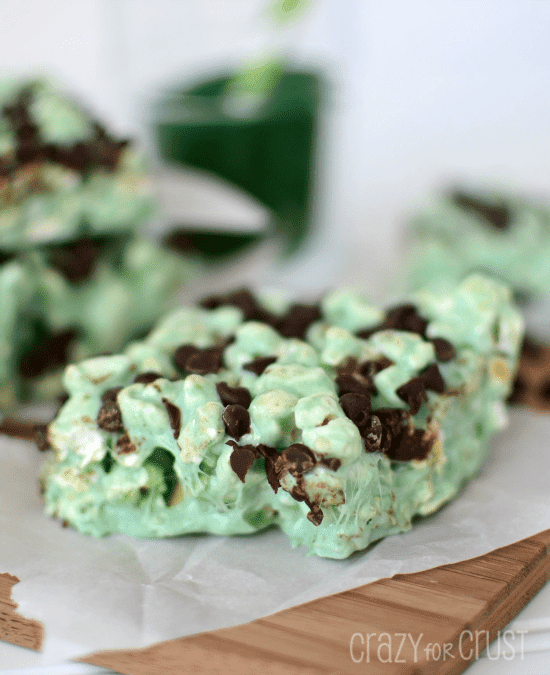 These EASY Mint Chip Popcorn Treats are like a Rice Krispie Treat, but it's made with popcorn! Add some MINT flavoring and chocolate chips and you have a yummy mint chip dessert recipe! Spray a 9x9” pan with cooking spray. Set aside. Pop your popcorn. I used a 3 ounce microwave popcorn packet, but you can use an air popper too, whatever you have. Pick over the popped corn and remove all unpopped kernels. Place about 6-7 cups of popped popcorn in a large bowl. Place marshmallows and butter in another larger, microwave safe, bowl. Heat for 60 seconds; stir. Heat for an additional 30-60 seconds, stirring after 30, until marshmallows are fully melted. Quickly stir in extract and food coloring. Pour popcorn into melted marshmallows and stir carefully. Pour into prepared pan. Working quickly, spray your hands with cooking spray and press evenly in to the pan. 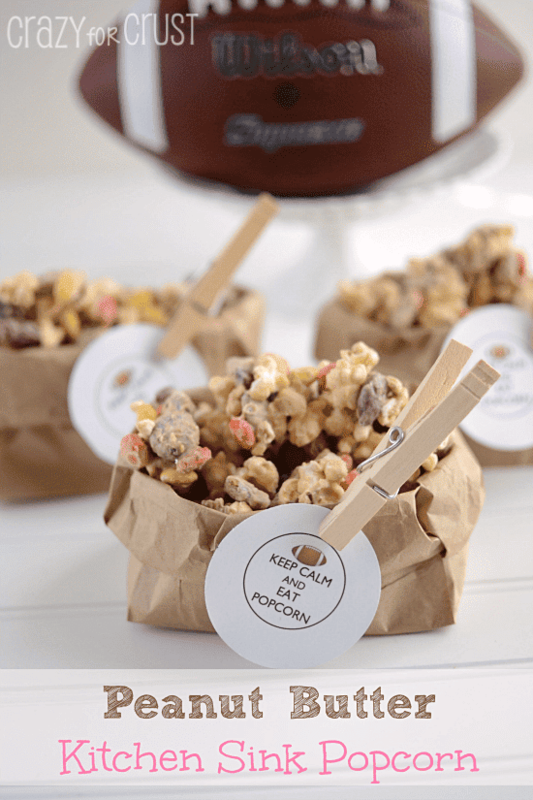 Immediately sprinkle the mini chocolate chips over the top of the popcorn and press lightly to make it stick. Cool completely before cutting into bars. Best eaten within 2 days. Store in a tightly covered container.